Does the idea of taking a family vacation in nature strike fear in your heart? Is it overwhelming to picture your kids not being distracted by technology and having to juggle the various cans of bug spray/bear spray/sunscreen/and water bottles between the members of your group? Does it seem like more of an effort than it’s worth? The struggle of planning the perfect vacation has already been accomplished, take a chance and call our reservation agents to help us alleviate some of your fears and help you realize how refreshing a trip to Jackson and the “Last of the Old West” can be. We have local knowledge and tools that make planning for a successful national park vacation in Grand Teton National Park and Yellowstone relatively simple and enjoyable. Avoid traveling around holiday weekends, as much as possible. 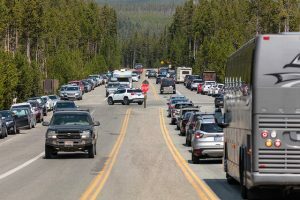 Roads are congested and gridlock traveling to and from the park entrances become a real issue in the summer season. To get the most out of your experience in the park, we recommend being on the roads/trailheads as early as possible. Plan to have your lunch packed and ready to eat out in nature, rather than eat in a crowded cafeteria/restaurant location. Sundown is usually when you’ll find the greatest traffic to get out of either national park. If you are staying outside of the national parks, we’d recommend planning to leave an hour before sundown to beat the stand-still traffic. Dining at the Lake Yellowstone Hotel Dining Room is an experience that will transport you back 50 years. Enjoy your meal to the sound of beautiful piano music in the background over the breathtaking view of Yellowstone Lake. For fine dining in the town of Jackson near Grand Teton National Park, we’d recommend the Snake River Grill, a tourist favorite. For more of a mom and pop dining atmosphere, we’d recommend Merry Piglets or Liberty Burger. The Creekside Market, across from the National Elk Refuge, has great sandwich options, as well. Our top recommendations for sleep accommodations would be to camp anywhere you can in or near the National Park. For indoor accommodations, our team would recommend The Lexington, Snow King Resort, or The Rusty Parrot Lodge. When traveling with kids, it is imperative to plan for gas fill-ups for your car. Gas station and automotive repair shops are only located at major areas within Yellowstone, including Old Faithful, Grant Village, Fishing Bridge, Canyon, Tower/Roosevelt Junction, and Mammoth Hot Springs. Plan accordingly and have a full tank of gas before exploring in the national park and know where you will fill up if staying a few days. It would be an expensive tow job should you run out of gas. Plan for three destinations you would like to see in a day and spend the rest of the day making decisions on a whim. Understand that weather conditions and wildlife traffic may impede your plans. Have the flexibility to come back another day and spend your free time on a different hike or different highway. The locations for car servicing, also, have some of the best general/gift shops in the park. We recommend taking a few minutes with kids to explore the fun novelty items for sale in any of these stores. Visiting the national parks can certainly be a source of burn-out if there is not adequate planning involved. Our team is here to ensure that all parts of your vacation come together seamlessly, leaving you to do the relaxing. We hope you’ll take some of our local advice to have the chance to truly get to the heart of what makes these special places so treasured to the thousands of global visitors who visit throughout the year. We look forward to helping you plan your perfect vacation and promise that a few preparatory actions before your trip will all be worth it once you witness the views these national parks have to offer in person. The Bar T 5 Chuckwagon show takes visitors for a western adventure just under a mile up the trail in covered wagons to enjoy dinner and a show at a designated campsite along the trail. Trail runners and mountain bikers are in heaven with the multitude of trails available to explore, including the Cache to Game Creek trail that is just over 10 miles and offers some of the most awe-inspiring views the valley has to offer. 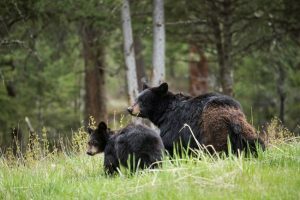 Cache Creek is home to an array of wildlife including, moose, elk, bears, and deer. Make sure to bring your bear spray and enjoy this quieter gem nestled to the east beyond the residential neighborhoods of Jackson. Just beyond the Gros Ventre Wilderness, the Goodwin Lake trail hike is just over 6 miles that will bring you to the lake. We’d recommend bringing your swimming trunks and cooling off after lunch at this favorite spot. You’ll beat the tourist crowds and soak in unparalleled views at Goodwin Lake. The lake is frigid, which is perfect for cooling off on those unrelenting scorching days during the summer. Beware that Goodwin Lake is a popular hit with the local black bears, as well. Prepare accordingly and bring bear spray. Josie’s Ridge it is a steep out and back 2 1/2 mile hike, located just off of the bike path trail system in the town of Jackson. 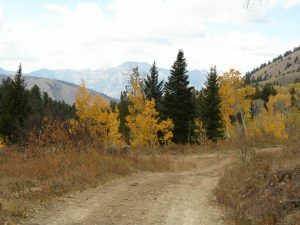 It offers beautiful and secluded views to the northwest of both the town of Jackson and the Tetons. It is a perfect quieter hike that is still well traveled if you are looking to break out of your routine or take your pup on a hike to some new views close to town. If you are interested in extending your time on the hill, you can connect at the upper junction to the Snow King Nature Trail. Josie’s Ridge is open to all sorts of nature lovers from hikers, equestrians, and mountain bikers. Book a trip to Jackson today and discover the magic of these unique places for yourself. Our reservation agents are happy to answer all of the questions you may have about planning a trip to Jackson Hole and the greater Yellowstone area. We look forward to helping you plan your trip of a lifetime. 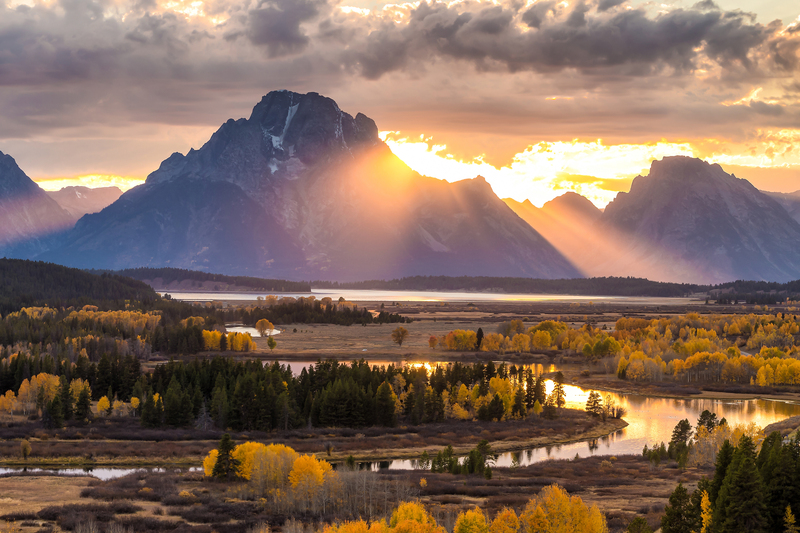 Grand Teton National Park is the highlight of many vacationers journey to Jackson. Jenny and Slide Lakes are perfect for family picnics. 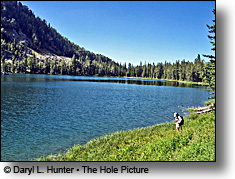 Delta Lake and Cascade Canyon Trails are favorites for more involved hikes at 9-10 miles for the seasoned hiker. 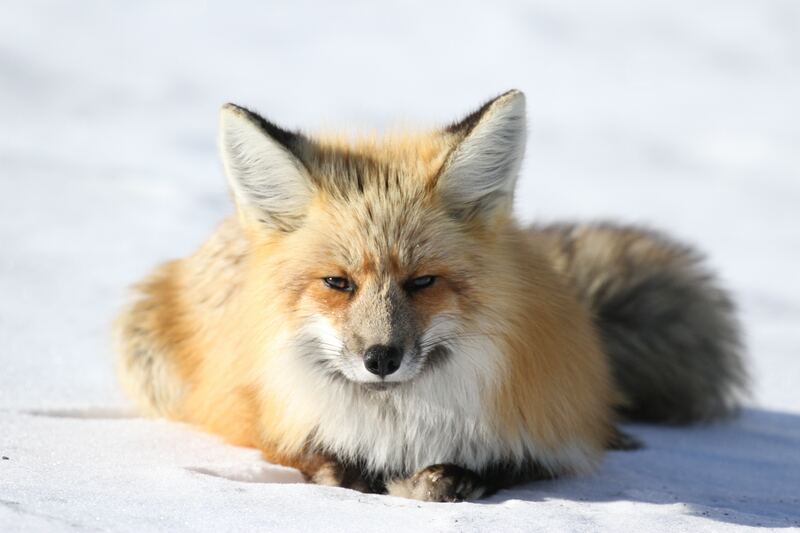 We recommend leaving prior to sunrise for the greatest ability to see wildlife active in the area and to start any hikes as early as possible for your trip. 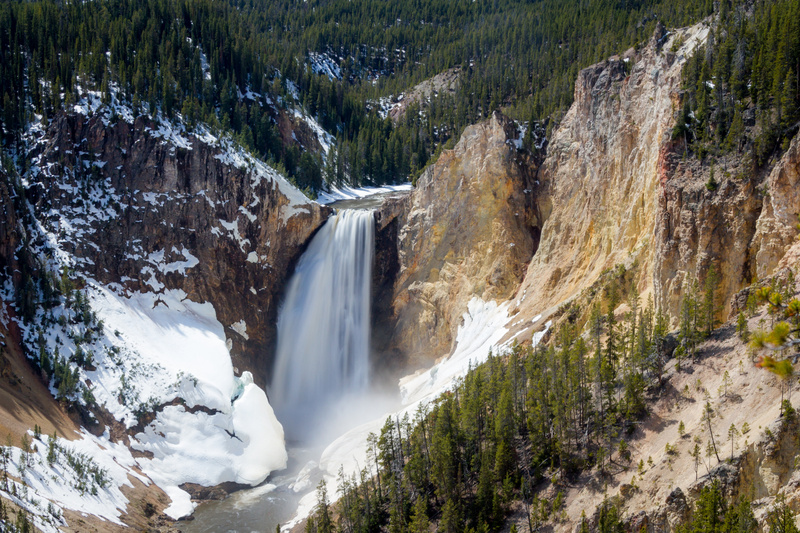 America’s first national park, Yellowstone is a crown jewel of the nation. 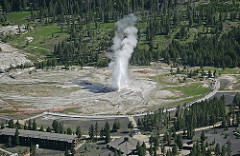 Boasting geologic wonders in Old Faithful and the Grand Prismatic, a whole day can be spent exploring the history of the geysers and hot pots in the region. For viewing wildlife, Lamar and Hayden Valleys are favorites for viewing wolf packs, bears, and bison herds. The visitor centers in Yellowstone are always bustling with great dining and retail gift shop options. 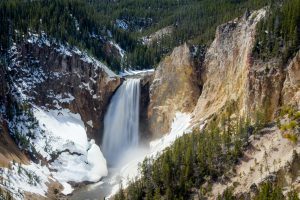 Yellowstone, also, offers many different day hiking and overnight backpacking trails, as well. The Grand Adventure Park is the perfect destination if you are traveling with kids. A Grand Adventure pass will get you and your family access to the tram, gondola, Teewinot lift, ropes course, climbing wall, the bungee trampoline, in addition to, a bike park ticket. The tram, gondola, and Teewinot lifts are all ideal if you enjoy sightseeing. The ropes course is an adventurous and safe option if traveling with little children. Disc golf at the Grand Adventure Park is an enjoyable and free activity for all ages and members of your family. The recent additions to Snow King Mountain offer a range of activities that are perfect for enjoying a day in Jackson with your family. Some of the activities, include Treetop Aerial Adventure Park with 4 adult courses and a children’s course (park features 100 challenges with zip lines, Tarzan swings, suspended bridges, etc. ), Cowboy Coaster, scenic lift, hiking, miniature golf, paragliding, horseback rides, bungee trampoline, and more. The Cowboy Coaster, a visitor favorite, was completed in October of 2015. It is a 5 1/2 minute ride to the top and you can ride down in 2 1/2 to 4 minutes, depending on the speed that the rider controls. The 70 miles of shoreline on Palisades Reservoir provides plenty of space to enjoy the 360-degree alpine views in this mountain oasis. With six access roads and two boat clubs having facilities on the reservoir, there is sure to be convenient access for you to enjoy your time on the reservoir. 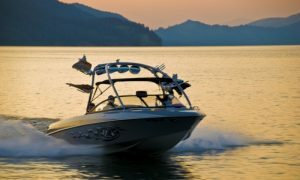 Palisades is the perfect environment for your motorized and non-motorized boating fix, water skiing/wakeboarding, and fishing. We hope you’ll take the time this upcoming summer season to experience the last of the old west like you never have before. The opportunities for experiences and memories you’ll cherish for a lifetime are truly endless. Call one of our reservation agents today to learn more! Are you searching for the perfect way to enjoy the winter season with your children in a safe, yet thrilling, environment? 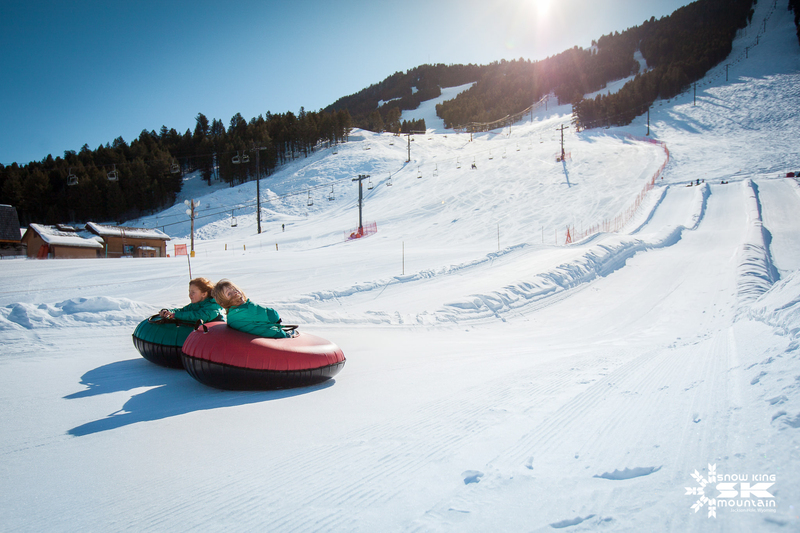 Snow tubing is at the top of our list for activities that children would enjoy. 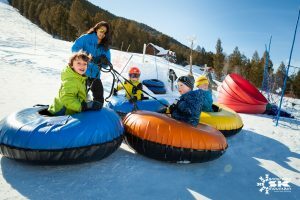 Snow tubing is very similar to sledding except for the fact that you are on a large inner tube that looks like a smooth tire. Snow tubing almost always occurs on a hill or slope of some sort, at which point a rider climbs on top of or into the inner tube and slides down the hill. The slope of the hill assists in propelling a rider to the bottom of a grade. Riders can be pulled to the top of a hill by a tow rope or even behind a snowmobile at a low speed. This process can be repeated over and over as long as a rider wishes to continue. To ensure you have the most enjoyable experience with your friends and family, it is important to prepare for the cold weather. You may send your children to the ski hill with the basics like snowpants, jacket, boots, hats, gloves, etc. We would highly recommend going as far as having a face mask or balaclava and goggles to protect everyone’s face who will be enjoying the tubing hill from the elements. Heavy winter boots with thick soles to insulate feet from the cold ground are highly recommended. 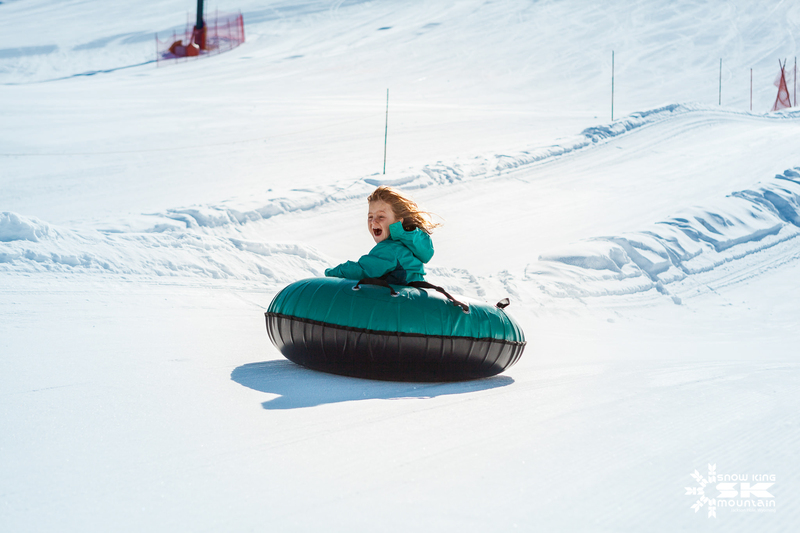 Snow King Mountain, just a few short blocks from the famous Jackson Town Square, now has snow tubing available with three groomed lanes and a tow rope to pull you and your child back up the mountain at King Tubes. Some important details to note when preparing a day at Snow King Mountain on the tubing hill, the cost is ~$20 per hour per adult and child. Every rider is required to go down on a tube by themselves, no exceptions, and all riders must be at least 42″ tall. Snow King Mountain, also, offers a special called the Big King Pass. The Big King pass gives unlimited access to King Tubes, the Cowboy Coaster, and skiing on Snow King Mountain for an entire day/night. There are opportunities to book King Tubes for private parties of up to 75 people with group rates being available for parties of 25+. No ski boots or related hard plastic boots are permitted while tubing. Snow King Mountain may shut down to inclement weather at any time and the mountain makes no guarantees regarding the operation. You can call 307-201-KING ahead of time to check for most up to date on operations. Call us today if you’re interested in learning more about how snow tubing is the perfect family activity. Download the ‘Snow King App’ for your smartphone if you are interested in spending time with your family at Snow King Mountain. You can view the most up to date information on conditions on the mountain, interactive trail maps, and more. Our agents are happy to assist with answering all of your questions and helping to prepare your ultimate family getaway to Jackson Hole! Thursday, March 14 – 16. Rendezvous Music Festival. Both events will be located slopeside at Teton Village, these concerts are sure to be the musical event of the winter season that you won’t want to miss. This is the 7th year of the free concert series at the Jackson Hole Mountain Resort. Spanning the course of several days, different bands perform slopeside for the perfect apres ski experience unlike any other. Music starts at 3:00 pm. You can find more information at this link. 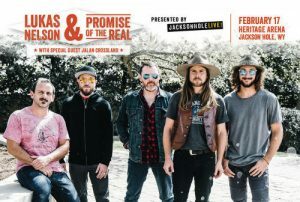 Lukas Nelson & Promise of the Real have a large fan base in Teton County, Wyoming. The organizers of Jackson Hole Live are thrilled to bring this rock & roll/cosmic country band to Jackson just after their appearance on the blockbuster hit, A Star is Born. They all appeared as members of Bradley Cooper’s fictional band. Nelson is coming back to Jackson over 10 years after performing with his father, music legend Willie Nelson, at the Snow King amphitheater. Tickets range from $28 early bird pricing to $125 VIP sets. VIP tickets include a private entrance, bar and restrooms, and a premium viewing area at the front of the stage. All proceeds from the event will benefit the JacksonHoleLive 2019 summer concert series. There is a minimum age requirement of 21 years for this concert. You can buy tickets at this link. A local favorite, the Silver Dollar Showroom offers a bustling and warm atmosphere to enjoy live music and dancing. Just a block down from the famous Jackson Hole Town Square. All music starts at 7:30 pm. There is no cover charge, unless otherwise posted. The live music schedule can be viewed here. Pink Garter is another local favorite venue for experiencing music in the winter season. 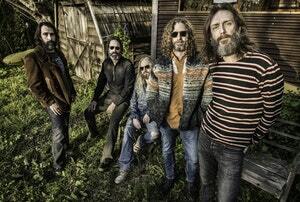 A few of the shows that we are looking forward to including The Motet on February 1st and the Chris Robinson Brotherhood on February 17th. These two concert events are for ages 21 and over, with tickets starting at $25.00 per person, and doors to the venue opening at 8:00 pm and shows starting at 9:00 pm on both show nights. Find the most up to date information on the upcoming shows at this link. Come and experience the energy for yourself at a winter concert in Jackson Hole! We look forward to helping build the perfect experience for you and your family. Telemark skiing, otherwise known as “free-heel” skiing, is a technique that combines elements of Alpine and Nordic Skiing that originated in the Telemark region of Norway. The name of the sports technique comes from the founding father and a pioneer of modern skiing, Sondre Nordheim, who discovered the perfect heel strap in 1850 in his hometown of Telemark when he landed the historic jump over his father’s barn. He used birch tree root to create a heel strap with enough stiffness to provide sufficient control of the ski for steering and the elasticity for the heel strap to fit tight enough around the heel to keep the toe in the toe-strap. This strap made it possible to both downhill ski and go over ski jumps. Some defining characteristics of Telemark skiing are that the heels of the boots are not connected to the skis. Bindings are only attached at the toe end. This allows the heel to come free from the ski base and separates the skis, by moving one back while the other moves forward. 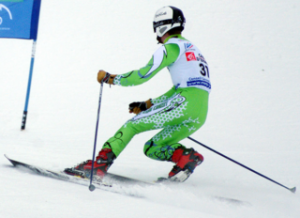 This type of action forces the knees to bend causing the typical “Telemark” position. Telemark skiing peaked in popularity in the 70s and 80s but is gaining traction again as a popular method of skiing in the backcountry to allow better flotation in powder. In addition to giving better access to deep snow, the Telemark gear allows for tours of longer distances on unpaved trails and undiscovered territory in the backcountry climate. As you may have realized, Telemarking requires unique gear and in today’s sports environment, Telemark skiing is really more about the gear than the turn itself. There have been innovations in the shape of a telemark ski, design of the camber, and boot design updates that make it easier than ever for those new to the sport to learn. The boot and binding combination must be a free-heel system. Many regular alpine skis work for telemarking. It is important to note that you use relatively wide skis that are not especially long and to find skis that are less stiff than alpine skis. Veteran telemark pros have been known to love the freedom, comfort, and mobility of telemark gear. You will see skiers individual methods of utilizing the Telemark technique, as well, on a turn by turn basis when they opt to drop a knee or not. Try something new this winter season and give Telemarking a try. There are full and half day lessons available at Jackson Hole Mountain Resort if you are up to the challenge. You may just have the time of your life practicing and perfecting the technique behind a natural “Telemark” turn. Jackson provides the perfect landscape and terrain to try this ski technique, either at Jackson Hole Mountain Resort, in Grand Teton National Park, or on Teton Pass for more experienced skiers. Our reservation agents are happy to connect you with the trip best suited to your needs and that will be most memorable. Winter in our beautiful valley truly provides a canvas unlike any other to experience Jackson Hole and the greater Yellowstone area. Much of the land remains untamed and untouched all throughout the frigid winter season. Though snows and plummeting temperatures may keep many visitors away, snowcoach rides and tours remain a largely untapped resource to enjoy the national parks. Snowcoaches are specially made for off-road winter travel over snow and ice. These large yellow bus-like vehicles can be equipped with bus-style seating, mounted on tracks, or mounted with monster sized low-pressure tires. The large windows provide near-perfect 365 degrees to more effectively glimpse wildlife hiding in the forest and views of the mountains and valleys that you may pass by on your journey. Beyond snowmobiling, snowshoeing, and Nordic skiing – snowcoaches are the only authorized vehicle access into the Grand Teton and Yellowstone national parks in the winter season. One of the perks of snowcoach tours is you can cater your experience to enjoy different regions of the national parks, focusing either on canyon and lake views, wildlife tours, or waterfall and canyon tours in a more comfortable and social environment. Snowcoaches may offer a safer and more enjoyable alternative to enjoying a winter vacation than snowmobiling if you are traveling with young children, as well. Do you have specific areas you would like to cater your trip into the national park around? There will be many chances to stop for photo opportunities and to view wildlife and awe-inspiring views during your tour. Rest assured you will make many stops during your trip to enjoy the beauty that nature provides, be sure to dress and prepare accordingly for the conditions. On your trip you will have a tour guide who would be happy to personalize the experience, as much as possible, to help create your trip of a lifetime. Many of the tour guides are seasoned locals that have a vast array of knowledge on the history, geology, and wildlife of the area, in addition to, many stories to keep you thoroughly entertained on the drive into the parks and back. Be aware that some regions of both national parks may restrict off-road travel, pending on current weather and road conditions. Witness the majesty of the views that will surround you from a snowcoach tour; from the sun reflecting off of the unmarked snow, to wolf and elk sitings, to enjoying the stillness and complete quiet the national parks offer in the off-season. Enjoy your time spent exploring both Grand Teton and Yellowstone national parks from the warmth and comfort of a heated snowcoach, book your trip today! If you’re looking to escape the crowds and experience nature to the fullest in Jackson and around Grand Teton National Park this winter season – a snowshoe adventure may be for you. 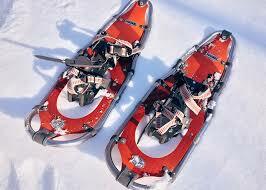 Snowshoes have come a long way since they were made of ash wood and rawhide bindings before the 1950s. 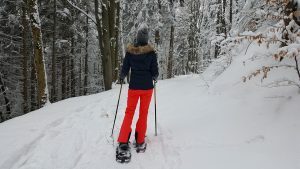 The assortment of snowshoes available on the market today are made to go the distance and are made of lightweight metal, plastic, and synthetic fabrics. Being made of these lightweight materials makes snowshoeing an accessible activity for all ages. 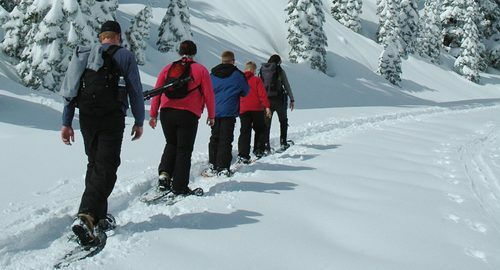 Snowshoes work by distributing the weight of a person via flotation or distributing one’s weight over a larger area so your feet and body do not sink into the snow. The type of balance you receive with this flotation makes reaching many of the undiscovered views in the winter backcountry much easier. Home to Amangani and Spring Creek Ranch Resorts, the East Gros Ventre bench could often be forgotten as it is in such a secluded location 1100 feet above the town of Jackson. We’d recommend a snowshoe trip before sunrise to the top of the butte. Check with Spring Creek Ranch guest services to confirm if you can use the employee parking lot as the start of your journey. The early morning and cold will be worth it once you see the sunrise to the east. There is a high chance you’ll see elk and moose enjoying the location, as well, so plan accordingly and always keep a safe distance from wildlife. Make sure you take on this adventure in a 4 wheel drive vehicle. 13 miles south of Jackson, you’ll come to the roundabout at Hoback. Take the left leg of this roundabout if you are heading southbound from Jackson and drive an additional 11 miles and take a left turn onto Granite Creek Road. You could miss the turnoff to this remote location if you’re not watching closely. If you continue on this road for 9 miles and you will come to the developed hot springs pool, which is located just above Granite Falls. Dress warm, bring lots of meals, and enjoy snowshoeing around the falls and warm up at the end of the day in the hot springs pool. Winter opening day is December 6 and please respect the no alcohol rule around the premises. In the excitement to get into Grand Teton National Park, many people drive straight past Moose, and the world-class views that the highway has to offer along the way. Make it a priority to slow down this winter season, and spend some time snowshoeing along the bike path or along the entrance into Grand Teton National Park. The national park road is open to Taggart Lake and after that point is groomed for Nordic skiing only. Make Dornan’s restaurant the final destination on your trip for the very best pizza, nachos, and drinks the valley has to offer! 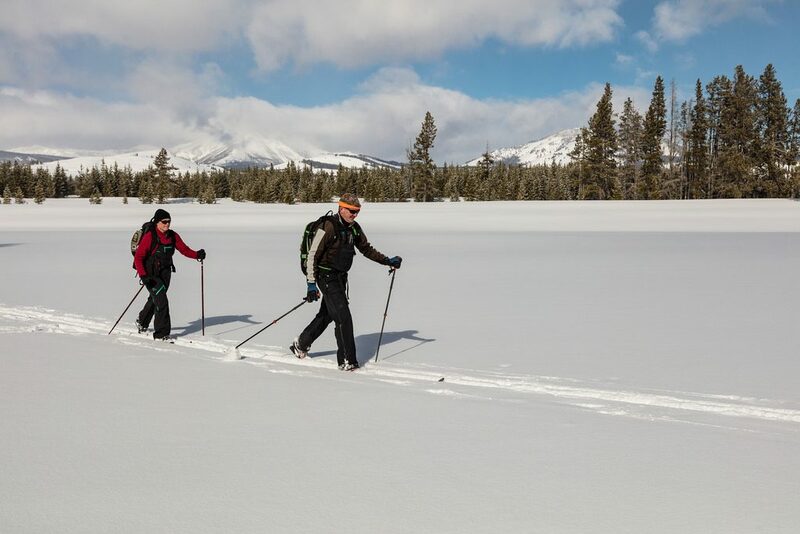 Add snowshoeing in Jackson to your calendar this winter, and finally, find the time to reconnect with nature and find the adventure that is waiting just outside of the city limits. Our reservation agents are happy to accommodate with the planning of your once in a lifetime trip! The drop in the temperature of the arid climate brings an ethereal beauty to Jackson’s rugged landscape. It’s easy to miss some of the hidden gems our valley has to offer if all of your time is spent warming next to a fire or on the ski hill. If you’re prepared to escape the crowds, you may just experience some of the best views of your life this year. 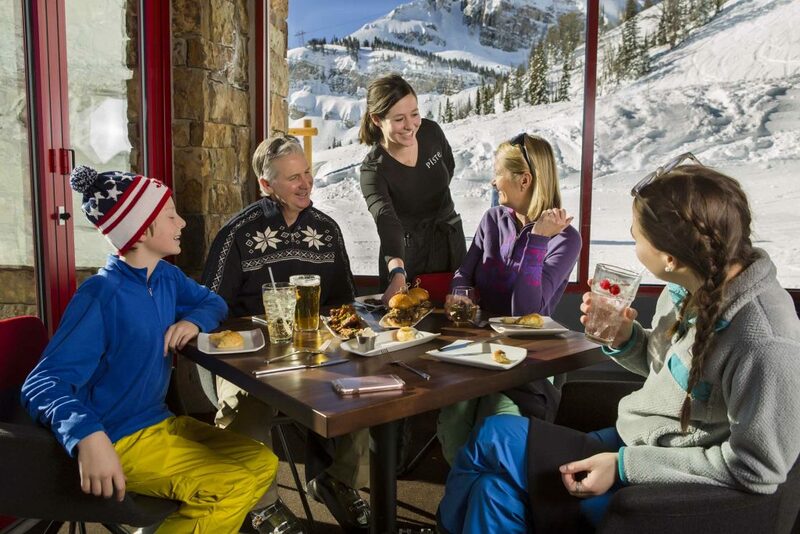 Enjoy the gondola ride and fine dining at Jackson Hole Mountain Resort and take in the sweeping views of Jackson Hole valley from the top of the mountain at Piste restaurant in Teton Village. The ultimate in luxury, Piste is the place to be in this town and winter only amplifies the experience to be had on the mountaintop. 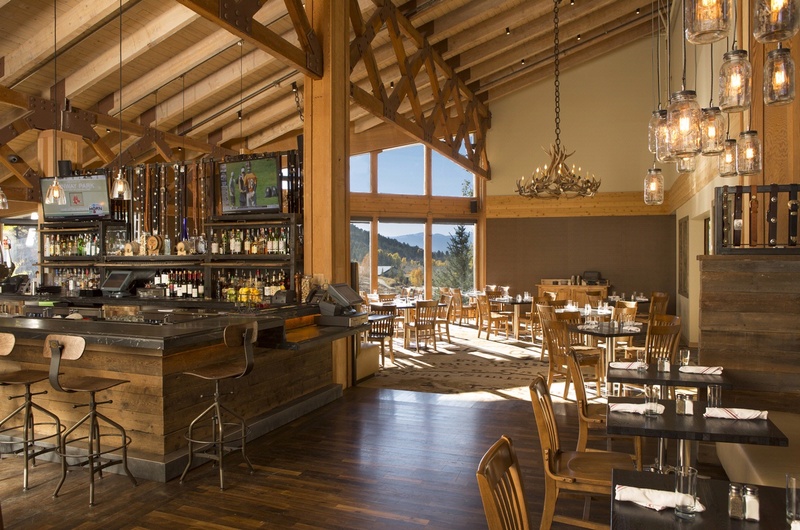 Located within Snow King Mountain Resort, you’ll find Hayden’s Post restaurant on the second floor. The restaurant is surrounded with floor to ceiling windows that offer incredible views of the vertical slope of the Snow King mountain. Request a window seat and enjoy a meal or appetizer taking in the beauty just off the famous town square. You’ll feel a million miles away among the pine-lined view offered from this secluded restaurant. The only winter access to this location is on a snowmobile or via dogsled. Take the winter chill away in the hot springs and find yourself surrounded by the pristine beauty you can find 35 miles outside of the Jackson city limits. 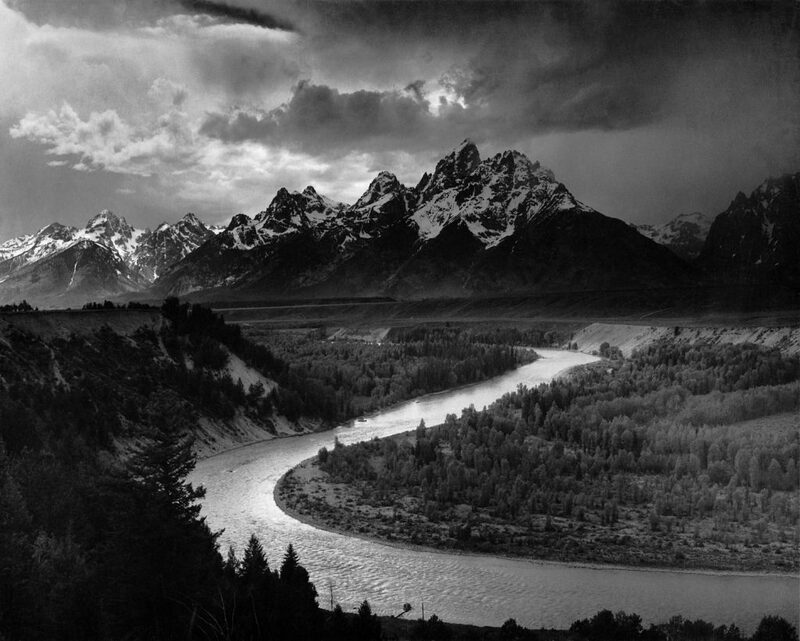 The location where Ansel Adams took the famous shot of the Teton range. Spend some time here to truly take in the majesty that the Teton range provides this winter. The photo opportunities at this location are endless. 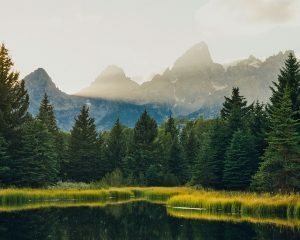 Moran lays on the northeast side of Grand Teton National Park and lays claim on some of the most beautiful, undiscovered, rugged beauty that nature has to offer. The world-famous Moulton Barn with the backdrop of the Tetons is just as breathtaking in the winter time. Bring a picnic and take in the beauty and some of the history that this land has to offer. 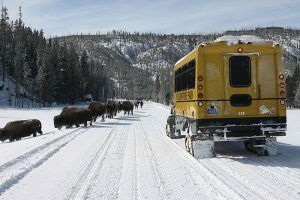 Buffalo herds roam across the region, as well, in the winter. Take the long road back to Jackson to see if you can find where these beautiful animals may be hidden among the trees. 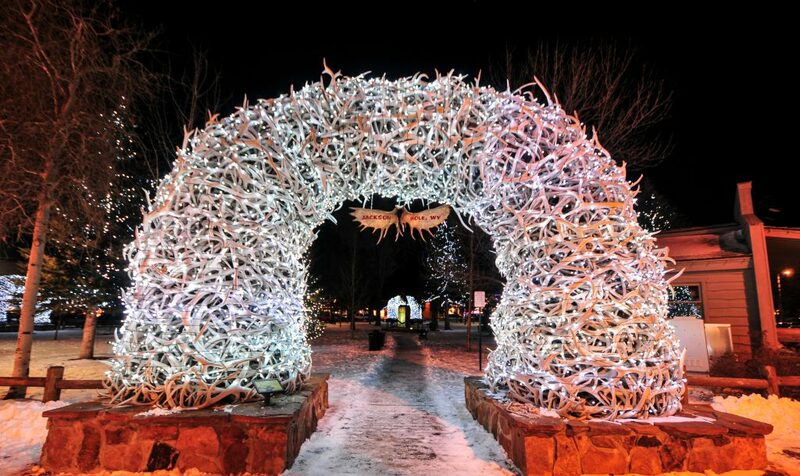 If you don’t take a picture at the famous town square antler arches, people may have a hard time believing you came to Jackson Hole. The day after Thanksgiving will find the antler arches wrapped in thousands of twinkling Christmas lights, a quick picture in the evening under the Christmas lights is at the top of our list for festive holiday fun in Jackson and a must-see annual tradition for all residents. Enjoy free ice skating at the square that is manned from 4:30 pm to 9:00 pm Tuesday to Friday during the week and 12:00 pm to 9:00 pm on the weekends. Skate rentals are available in the Stage Stop building. You can’t mention views in Jackson that will take your breath away without visiting Grand Teton National Park to enjoy the beauty that the Grand Teton’s sheer cliffs provide, in addition to, Mount Owen, Teewinot, Middle Teton, South Teton, Mount Moran, Mount Wister, Buck Mountain, and Static Peak. Road access is closed at the Taggart Lake point, we would highly recommend strapping on some Nordic skis to ski on the groomed roadsides, or take a trip farther into the frozen lakes of Grand Teton National Park to discover the beauty winter brings without the crowds. Visit Jhnordic.com to learn more about Nordic skiing in the national park.